Symbolise your past, present and future love, with this clasically elegant three stone diamond ring. Featuring a trilogy of round brilliant cut diamonds, this style is a true classic. Voltaire Diamonds can custom make this ring to your requirements and are happy to create this style with the gemstone and metal of your choice. 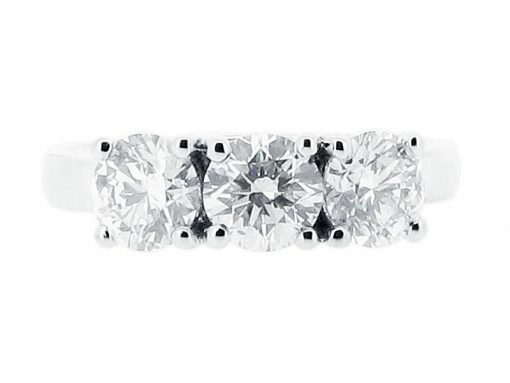 At Voltaire Diamonds, we aim to provide a comfortable and exciting service for one of the most special purchases in your lifetime. Please contact us to arrange an appointment to visit our offices just off Grafton Street. 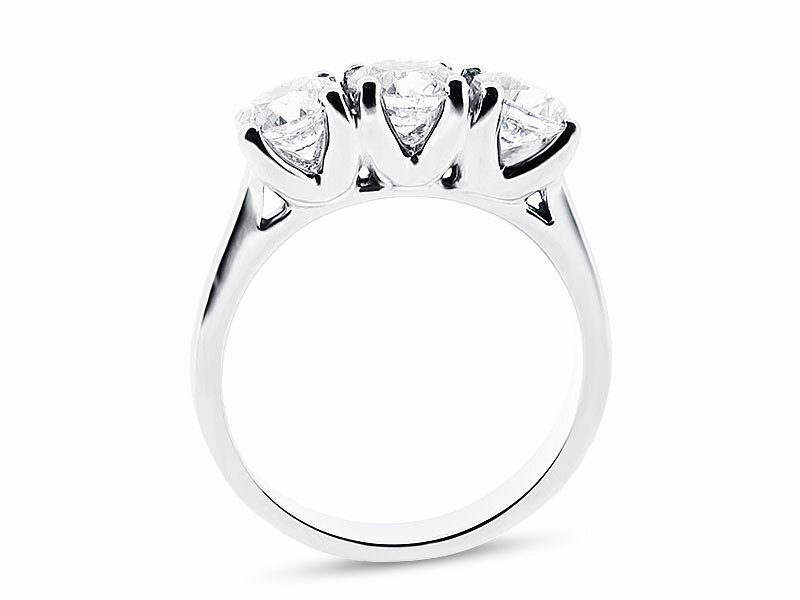 Our specialist consultants will be delighted to assist you in creating your dream engagement ring.